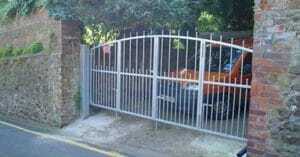 From steel and aluminium welding through to security gates and railings, Active Security can do it. With 36 years of experience and market-leading designs, whatever door installation you require, call Active Security UK Ltd on 01885 488 994. We can offer bespoke, space-saving and reliable doors that will continue to impress you for years. Working with customers in all sectors – domestic, retail, commercial and industrial – We at Active Security UK Ltd pride ourselves in talking directly to the customer to ensure your requirements are totally understood. We have a fabrication department which caters for the special requirement and needs for our roller shutters and gates business. If you can draw it, we can create it. Active Security UK Ltd offer gates & railings to fit any style, dimensions or needs from domestic to commercial requirements. 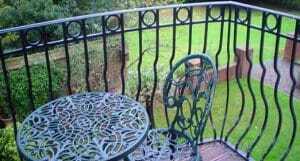 Our gate and railing fabrication services are comprehensive and offer solutions to most demands, whatever the requirements. Please get in touch to find out more. Our impressive facilities allow our expert team to offer a detailed range of bespoke solutions, from household cooker parts for Agas and Rayburns, to larger, outdoor items such as cattle grids, gates and fencing as well as folded steel, side and back panels, baking trays, ash pans, lid liners, door liners, door liners, riddling tools, flue boxes and plinths to raise the level of your cooker which are all manufactured in our local Bromyard based workshop. We can make items and offer services such as railings, gates, grilles, cattle grids, onsite/ offsite welding, aluminium welding, Aga cooker parts, Rayburn cooker parts and trailer parts. In addition, we can also offer bespoke services! If you can draw it, the chances are we can make it. Call 01885 488 994 for more information. 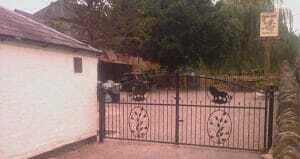 Active Security offers a full repair service for all mentioned products and installations on this website. We also offer service agreements and maintenance services for all products listed. For more information, please call 01885 488 994.